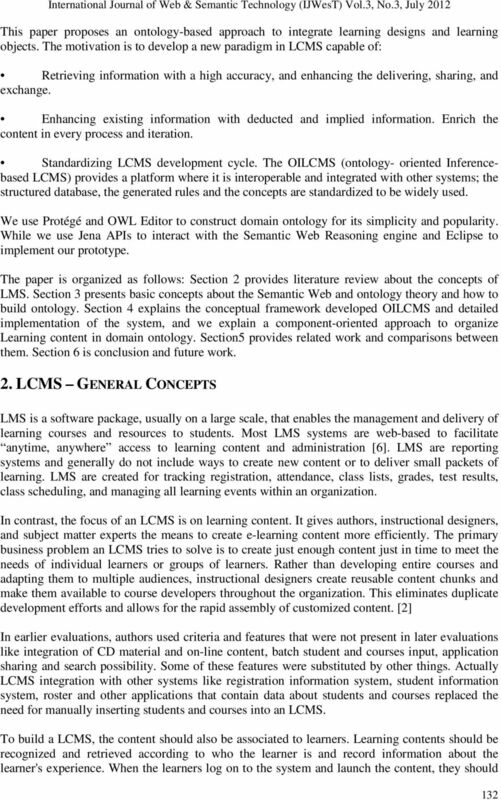 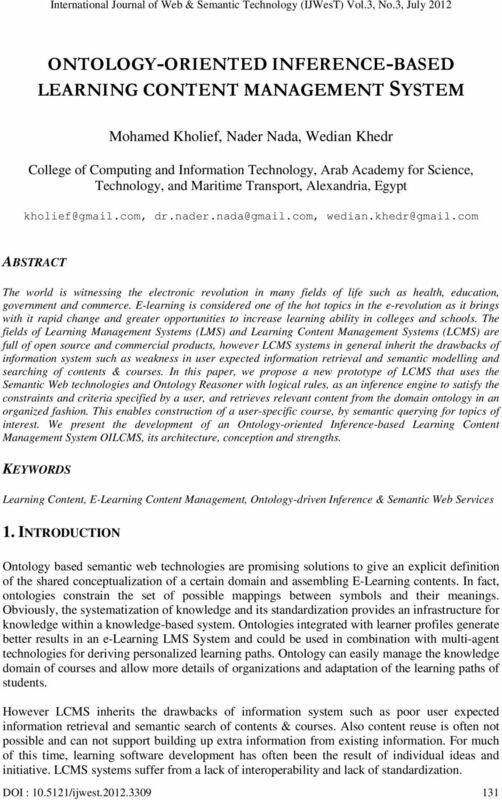 Download "ONTOLOGY-ORIENTED INFERENCE-BASED LEARNING CONTENT MANAGEMENT SYSTEM"
What s The Difference Between an LMS and an LCMS? 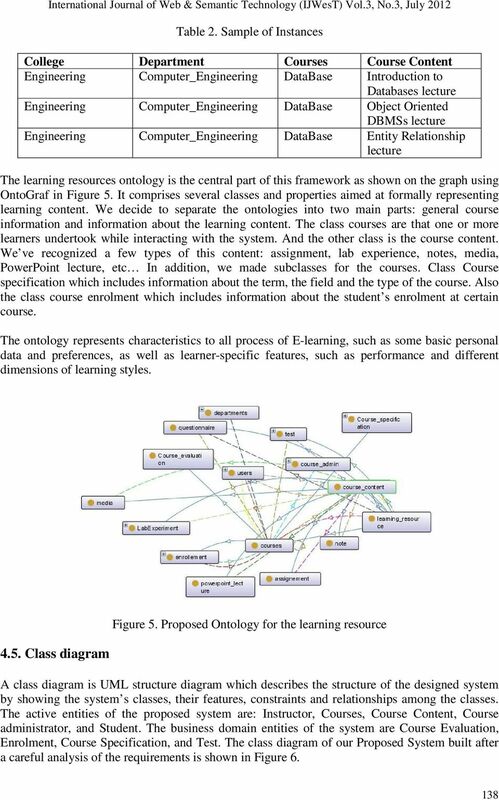 Web s for e-learning: Engineering and Technology Domain Krupali Shah and Jayant Gadge Abstract E learning has gained its importance over the traditional classroom learning techniques in past few decades. 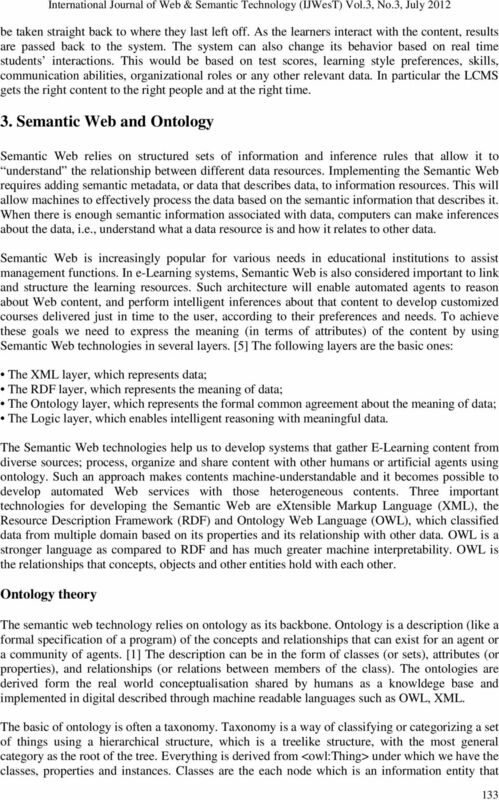 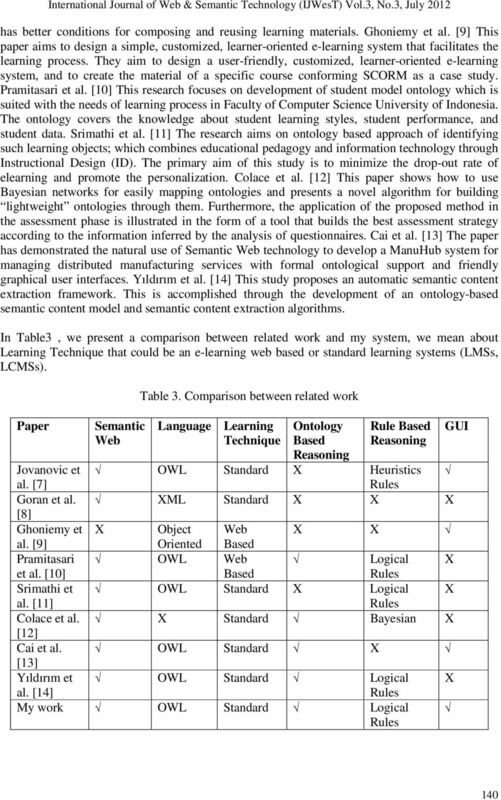 SEMANTIC WEB BASED INFERENCE MODEL FOR LARGE SCALE ONTOLOGIES FROM BIG DATA J.RAVI RAJESH PG Scholar Rajalakshmi engineering college Thandalam, Chennai. 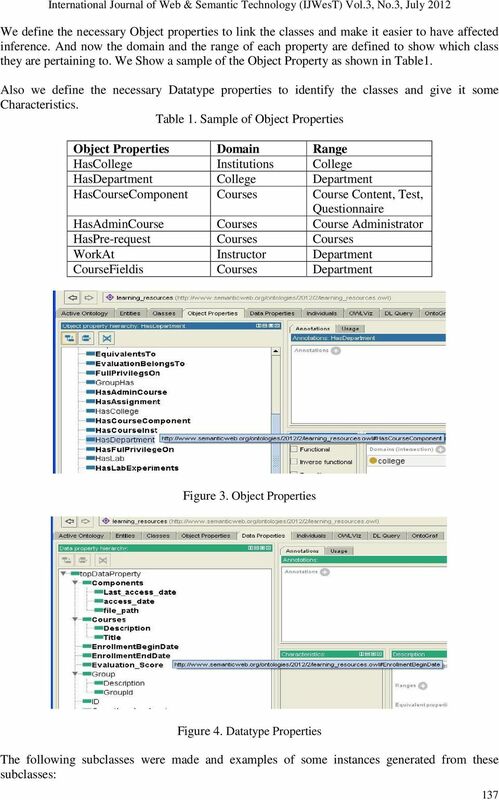 ravirajesh.j.2013.mecse@rajalakshmi.edu.in Mrs.
PSG College of Technology, Coimbatore-641 004 Department of Computer & Information Sciences BSc (CT) G1 & G2 Sixth Semester PROJECT DETAILS. 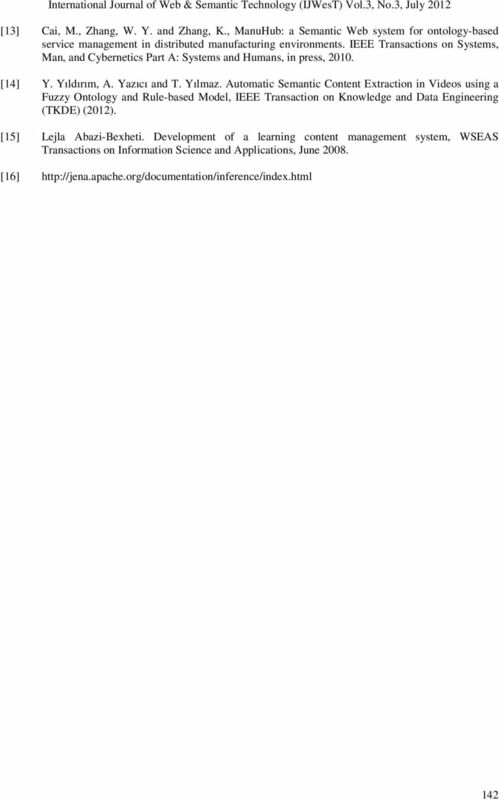 STUDIA UNIV. 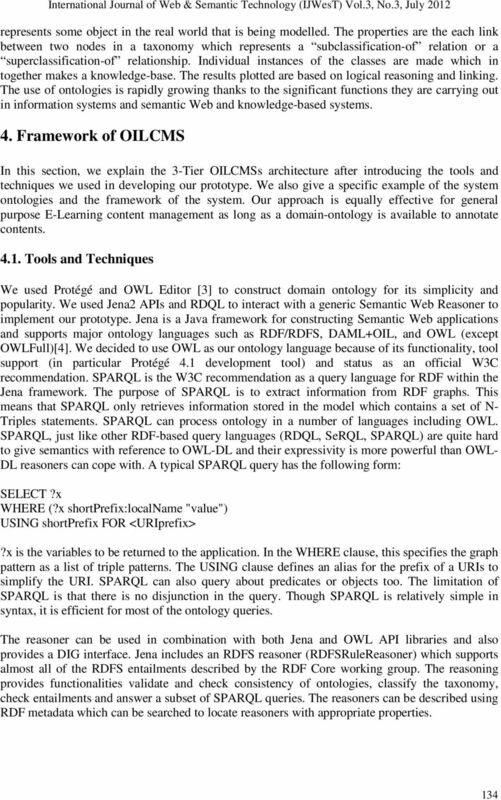 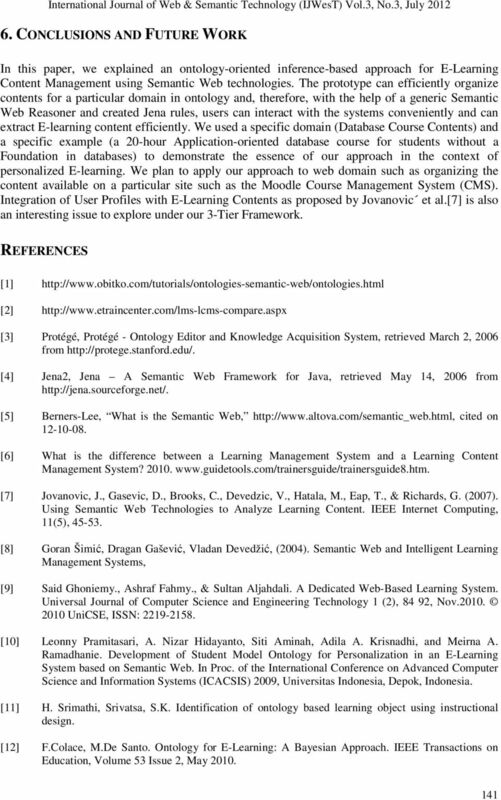 BABEŞ BOLYAI, INFORMATICA, Volume L, Number 2, 2005 AN ONTOLOGICAL APPROACH TO WEB APPLICATION DESIGN USING W2000 METHODOLOGY ANNA LISA GUIDO, ROBERTO PAIANO, AND ANDREA PANDURINO Abstract.